Click this link (or on the photo below) to open the newsletter. 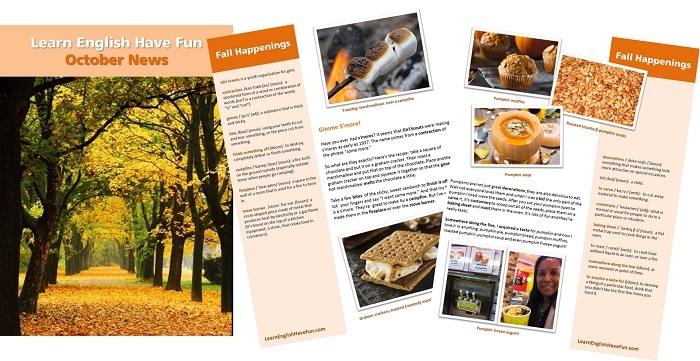 It's a PDF file and will open in a separate window so you can print the newsletter if you want. You can listen to the audio below and read the newsletter at the same time. Click the audio player below to hear me reading the newsletter. Be sure to OPEN the newsletter above. That way you can read the full article, be able to see the photos, and get the vocabulary definitions. You will probably learn some new vocabulary words in the article. Okay guys, it's time for your comments. Remember this helps YOU practice your English and it helps ME know how I'm doing and will help us create a community here. I really, REALLY hope you will leave a message below because it will help you build your language learning "courage muscles" but if you're too shy you can always write me a message via my contact page or reply to the newsletter email. Here are some ideas of things you could comment on. What did you think of the newsletter? Do you have the fall season in your country? Do trees turn colors where you live? Have you ever dressed up for Halloween? If so, what costume did you buy or make? Have you ever been trick or treating? Do you like pumpkin? Have you had pumpkin bread, muffins, pie or roasted seeds? Have you ever roasted marshmallows or made s'mores? Have you signed-up for the newsletter? 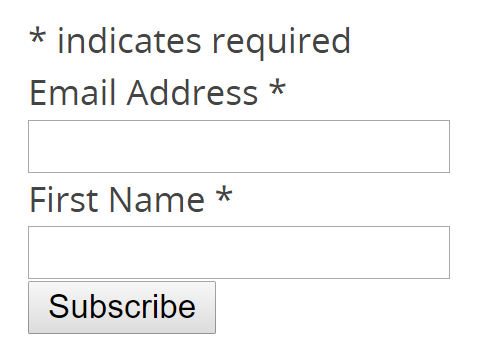 If you found this page but haven't signed-up for the newsletter you can enter your name and email in the box at the right and you will receive the next issue.